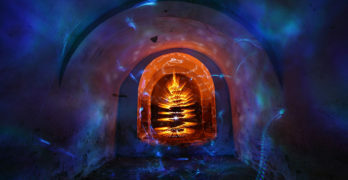 Sascha Pseiner for the above light painting image. For three years I make light art performance photography now. And the time has come where I work more and more with human models and not only with abandoned places. 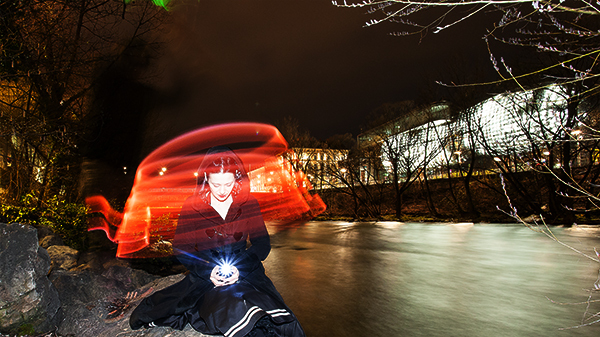 I love to spend hours outside at night and create new forms of light again. I work a lot with led lenser and color films and also with experimental pyrotechnics. For this image I worked with a LED lamp mounted on a round wooden pole with a red colored foil on and two studio flashes. 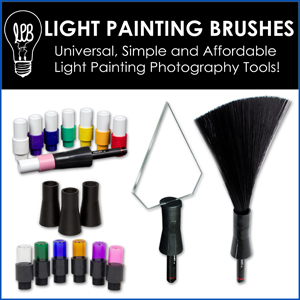 The light painting photography contest series is sponsored by COAST, the greatest flashlight company on earth! Click the banner to check out and support the company that supports our art form!